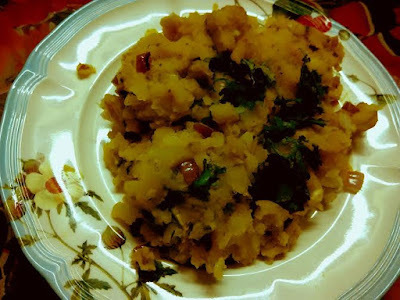 Looking for easy yet yummy bitter gourd recipes? I understand this humble green vegetable is not a favorite at your home, especially with little kids and the adults too. But I love bitter gourd recipes like anything - whether it is karela fry, karela bharta, karela chips, chatpata karela, or bharwan/stuffed karela that mom specializes in. I make it healthier - my MIL's way - just like a stir fry vegetable. It tastes equally yum. I thank my neighboring Bengali aunt for introducing me to karela bharta recipe. It gave me inspiration for replicating the recipe and combine it to make karela and kheera bharta. I thank Chitra B for introducing khatta meetha karela recipe to us all. It is a tangy, sweet bitter gourd recipe loved by one and all. Additionally, Karela or bitter gourd chips are a favorite this side. A few years back when I relocated to my present residence, I came across a south Indian chips store. What caught my attention the most was the use of bitter gourd or karela for chips. I would buy packets after packets of these crispy bitter chips and loved them like anything. But since I no longer buy market junk and have been missing Karela/bitter melon chips, I decided to harness the power of my airfryer to recreate this crispy avatar of my favorite chips. What about you? Ever imagined how karela salad would taste? Well, you no longer need to imagine now. I have come up with boiled karela-alloo bharta recipe, which makes a lip-smacking delight. 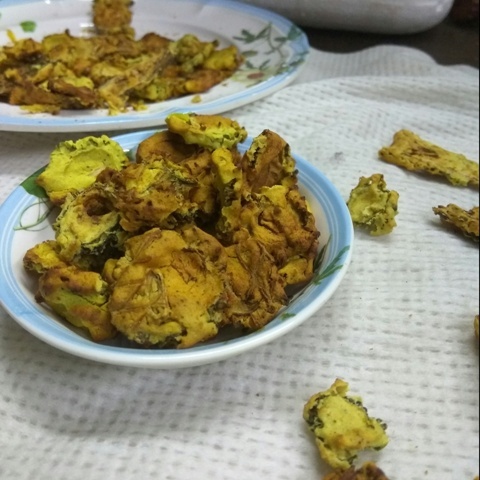 There aren't too many people who love bitter gourd (karela) but if you try this potato-karela bharta, you can help your family derive the benefits of bitter gourd. 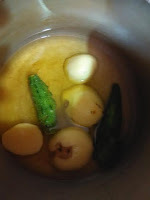 This simple recipe uses boiled aloo and karela. So no frying needed at all. But tastes yummmm (with little to no bitterness) with the immense benefits of bitter gourd - a MUST TRY for karela lovers, and also for those who do not like this immensely health-friendly vegetable!!!!!!!!! The karela salad or side dish goes well with lentil curry and rice. If you are an alloo bharta lover, you are almost going to love this unique but delish recipe shared by a Bengali aunt. WASH 3 bitter gourds and pressure cook them together with potatoes, adding little salt and turmeric for 2 whistles. After boiling, discard the excess water. Squeeze karela and mash it along with potatoes. No need for any tadka, just add one chopped onion. Add 1/2 tsp of mustard oil. Check for salt. You can add black pepper. Mix well. Garnish with coriander leaves. That's it! I have also tried kheera salad or kheera bharta in addition to this karela bharta recipe. Take a look here. Mix both flours along with salt, turmeric, and oil. Make a batter with water. The batter should be like pakoda batter. Set aside. Slice bitter gourd into thin slices and dip into the batter. Allow the marinated stuff to stay just like that for an hour. Place on a baking tray or airfryer mesh. Make sure the batter does not dip. If it does dip, add an extra tbsp of rice or chickpea flour. Bake/airfry for 15-20 min - time may depend on your oven settings. I airfried karela chips at 200 degrees. Check after 15 mts. If the chips do not look crisp, bake longer until crisp. Enjoy these diabetes-friendly crisps with rice, roti, or just like that.